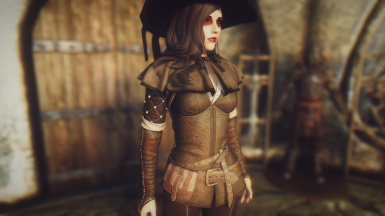 Mod adds a STANDALONE Triss / Yennefer armour mashup with dark theme and a witch hat. Craftable, upgradable and enchantable, fitted for the UNP body but works with any UNP type/vanilla body. 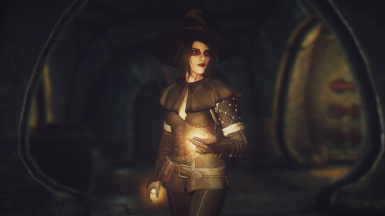 You can use PARTS of this mods,as longas it respects CDProjekt's policy of FREE CONTENT. 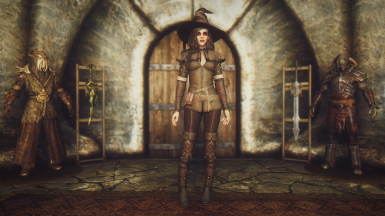 you can for example make followers using these armors,make retextures,conversion...on nexus and other sites. 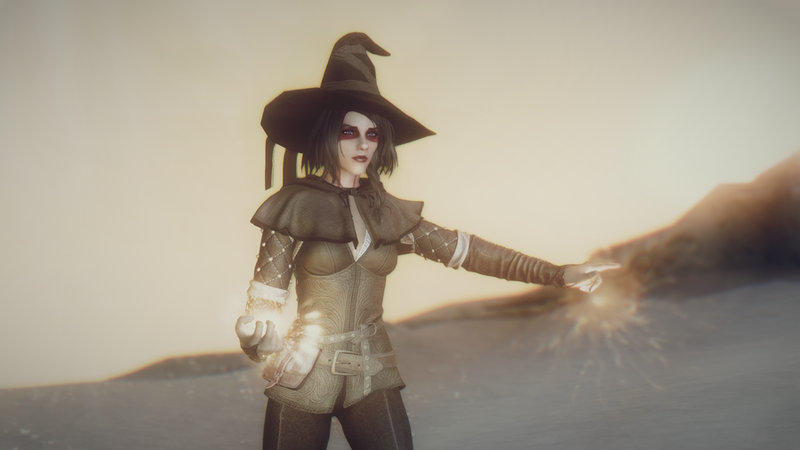 Witch hat by Backsteppo - http://www.nexusmods.com/skyrim/mods/11767/? 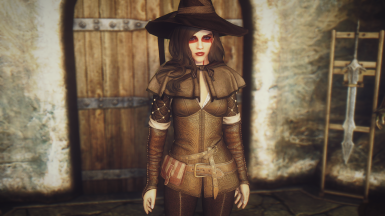 The Witcher 3 armour meshes and textures are owned and copyrighted by CD Projekt and used with permission. 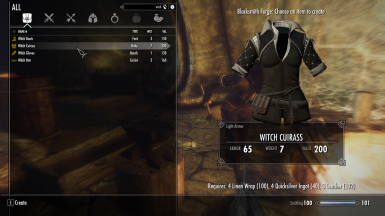 Craft the armour set at the forge with the "Witcher Crafting" book. or College of Winterhold Hall of the Elements on a bench. 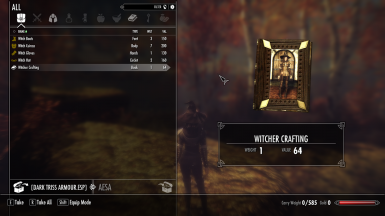 The reason for the book is, I have 50 armour mods installed and my crafting menus are a MESS.This way the recipes show up in your inventory only when you have the book, resulting in a cleaner craft menu! it works with matching set perks etc. and has a bit higher stats than Glass Armour. 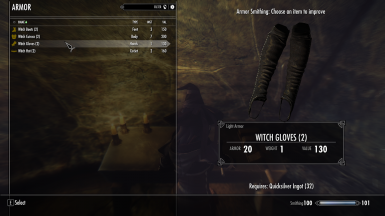 There's also a clothing version for mages who use mage armour perks etc., craft that under MISC at the forge. 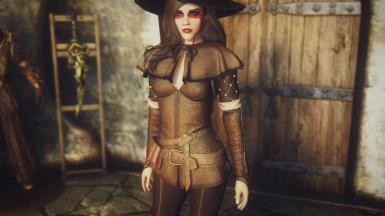 The outfit is fitted for the UNP body but works with any UNP type/vanilla body. 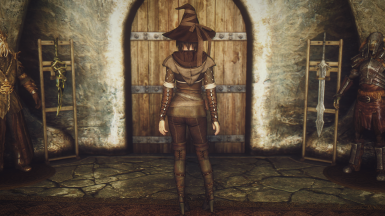 The witch hat works on males and beast races too, might look girly though. THE HAT WILL CLIP WITH SOME HAIRSTYLES! You have either the choice of GOING BALD when wearing it, or finding yourself a hairstyle that doesn't clip. 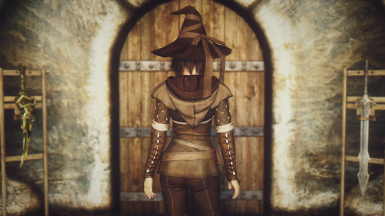 I prefer the latter, so the hat is marked as circlet and doesn't disable hair.